Tony received his B.S. from the U.S. Air Force Academy in 1970, as the Outstanding Graduate in Aerodynamics. In 1977, he received his MBA in Finance from the Columbia Graduate School of Business on a Samuel Bronfman Fellowship. He served five years as a pilot in the USAF before joining American Airlines in 1976 and retired in 2005 while based in Miami. 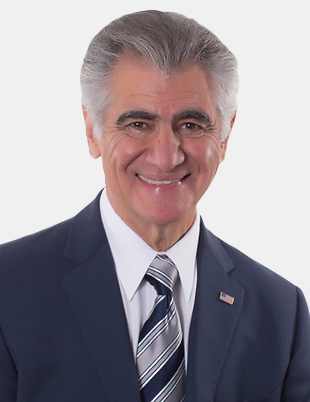 Tony served as chairman of the Los Angeles domicile APA Pension Committee from1984 to 1989 where he assisted pilots preparing for retirement, conducted retirement briefings, and wrote articles for local and national APA publications. Tony also developed computer software designed to project future retirement benefits, including lump sum and annuity options, early retirement benefits, 401K amounts, disability, and survivor death benefits. These projections have assisted hundreds of retiring pilots and have now become an integral part of the Final Approach Program® that he developed for RAA. Tony joined the firm in November 1990 as the West Coast Marketing Representative. He has served as the West Coast Regional Advisor, Director of Airline Programs, and Executive Vice President. Tony currently serves on the Retirement Advisors Board of Directors.